The new song “Rise," also featuring Mako and the Glitch Mob, is the theme song for 2018’s ‘League Of Legends’ world championship. The Word Alive released a new song with the Glitch Mob and Mako titled “Rise.” The new song is the theme song for the 2018 League Of Legends world championship. Frontman Telle Smith tweeted about the new song, complete with a video they’ve been working on all year. This is it. Happy to be joining forces w/ my friend @WeAreMako to sing along with @theglitchmob absolutely crushing the electronics for this epic #Worlds2018 theme song! League Of Legends is an online game where players can battle each other in arenas. Players can and are encouraged to join leagues and battle each other in teams. Every year, there’s a world championship where leagues compete for the title of champion. The winning team will also receive a $1 million championship prize to split between the league members. The music video is meant to be a version of League Of Legends like you’ve never seen before. You can watch the league avatars battle each other with moves seen in the video game, all while this brand-new song from the Word Alive plays in the background. The Word Alive will head to South Korea in October to perform “Rise” with Mako and the Glitch Mob. 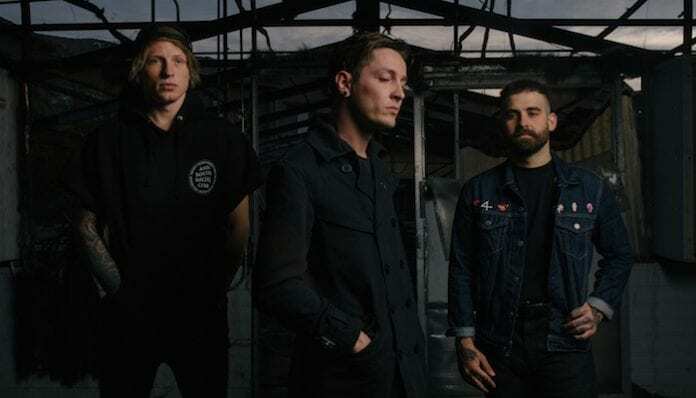 The Word Alive released their latest LP Violent Noise earlier this year, featuring their most recent single “Human.” The track stands out with the addition of rapper Sincerely Collins, a new move for the alternative metalcore band. Listen to “Rise” and watch the video below. Let us know what you think in the comments!